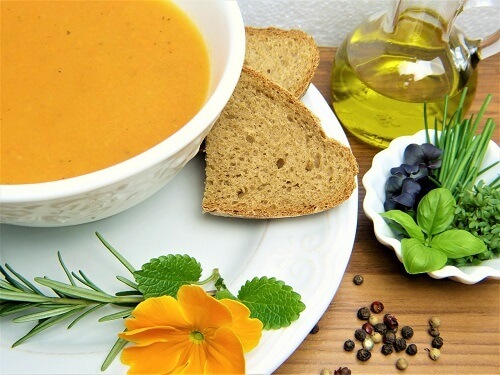 With summer just around the corner, Quattro Foods development team in Portsmouth, Hampshire are looking forward to start manufacturing tasty summer soups, which can be the star of your starter menu or a wholesome main course. To celebrate the upcoming British summer, whatever the weather, our chefs will ensure that the freshest ingredients are used in our soups such as spinach, tarragon, chives, basil and kale, which are all healthy and flavoursome. We can also incorporate Hampshire watercress; a herb that is noted for its characteristic peppery flavour and is grown at this time of year local to the Quattro Foods hometown of Portsmouth for the perfect summer pea soup with a twist. A firm summer favourite amongst our development chefs is our minestrone soup with a hint of porcini mushroom, or try our light version of a classic smoked Haddock chowder, with a hint of smoked paprika and sweet potato. Whenever we cook this dish, we always have many keen taste testers amongst the office! Another exciting dish is our West Indian curried goat and our scotch bonnet Easter hot sauce, both with that Caribbean sunshine and spice that make your taste buds tingle with excitement! Whatever floats your goat, we can add or change ingredients to your preferred taste. We prefer to opt for seasonal produce so your dishes can pack a punch, however if there is a certain type of soup that is suited to a particular cuisine, our development chefs can create it from scratch and ensure you are happy with the taste, every step of the way. So, whether you are looking for a miso soup or if you want a delicious French onion starter, we can create a dish that suits your restaurant’s theme and we will make sure that the recipe is unique. 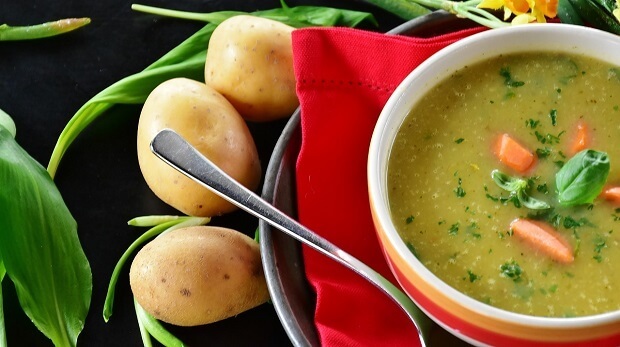 Whatever your budget is, get in touch and we can create a product using our traditional manufacturing process and ensure your customers are well-fed and enjoy a delicious, light summer soup. You can contact a member of the Quattro Foods manufacturing team either through our website or you can ring us on +44 (0)23 9262 0020 and we will be happy to answer any questions you may have. P.S. Want to keep up with our latest updates? You can now get in touch with us through Twitter or LinkedIn!